Everybody's gearing up for drama (and comedy and music) as we head into that long slide toward the holidays. What exactly are area theaters up to before the December madness begins? Read on! 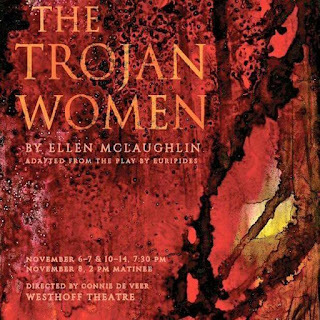 The Trojan Women, adapted by Ellen McLaughlin from the tragedy by Euripides and directed by Connie de Veer, opens November 6 in ISU's Westhoff Theatre. The play's focus is on the collateral damage from a lengthy, devastating war, specifically on the women left in pieces when the battles are done. 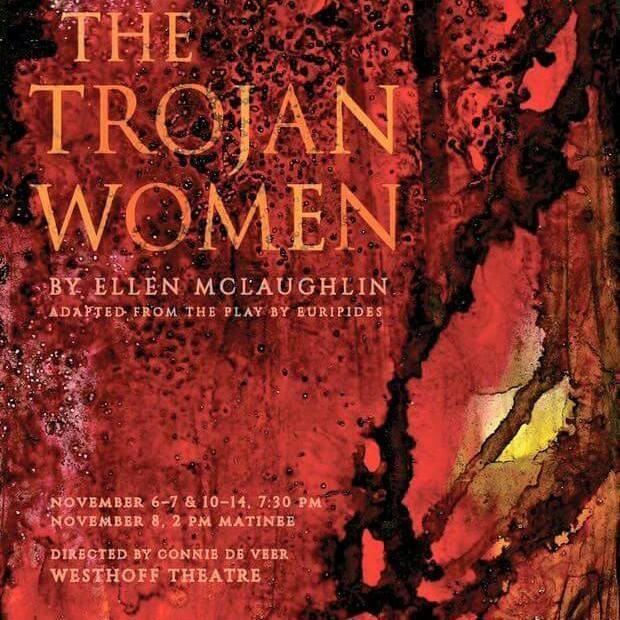 Performances of The Trojan Women will take place at 7:30 pm on November 6, 7, 10, 11, 12, 13 and 14, with a matinee performance at 2 pm on Sunday, November 8. Tickets are $12 for adults and $10 for students and seniors; call the Center for the Performing Arts Box Office at 309-438-2535 to buy tickets or get them online at ticketmaster.com. 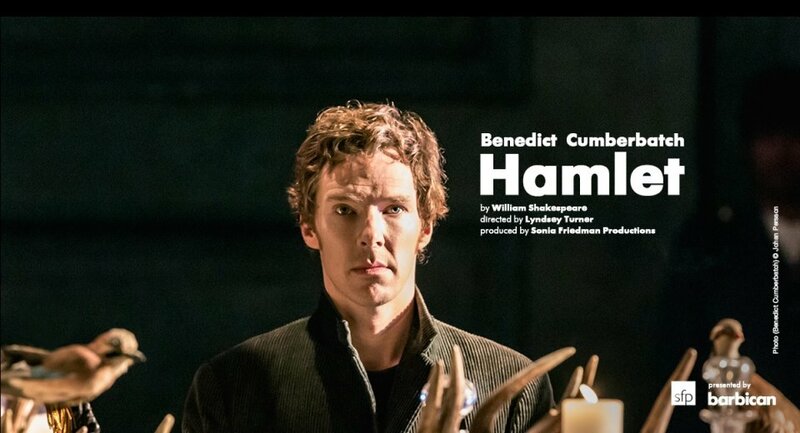 Still have a hankering to see Benedict Cumberbatch's Hamlet? Tomorrow and Wednesday, the Art Theater Co-op in Champaign will screen the National Theatre Live presentation of the London stage production, directed by Lyndsey Turner (Posh, Chimerica) and starring the Cumberbatch himself. Others in the cast include Sian Brooke as Ophelia, Anastasia Hille as Gertrude, Ciaran Hinds as Claudius and Jim Norton as Polonius. The Art has Hamlet set for 6:30 pm on Tuesday the 3rd and 1:00 pm Wednesday the 4th. Click here for info on this "event screening." Heartland Theatre's November show is Intimate Apparel, a beautiful play about a woman named Esther, an African-American seamstress who makes exquisite undergarments for high and low society in turn-of-the-century New York City. Esther dreams of love and respect, but both things are hard to come by in her world. Playwright Lynn Nottage won the Pulitzer Prize (for Ruined) and a MacArthur "genius" grant. Don LaCasse directs Intimate Apparel for Heartland Theatre, with third-year Illinois State University MFA actor Faith Servant as Esther, Elante Richardson as her pen pal from the Panama Canal, Fania Bourne and Megan Tennis as two very different customers, Jennifer Rusk as her landlady, and Rhys Lovell as the Jewish fabric merchant she forges a connection with. LaCasse and Servant also teamed up for Nottage's Meet Vera Stark last year at ISU, when the playwright herself spoke on campus. Intimate Apparel runs from November 5 to 22; click here for ticket info or here to see a schedule of performances. If you're in the mood for some blonde ambition, Legally Blonde the Musical may be just the ticket. This musical version of the book and movie about a fizzy sorority girl who follows her ex to Harvard Law School opens with a preview performance on November 5 at Community Players. The Players cast features Breeann Dawson as Elle Woods, the pink-loving blonde who tries to prove she has a brain, with Aaron Wiessing as the uptight boyfriend who dumps her for law school, Colleen Rice as his new (more serious) girlfriend, Jacob Deters as the sweet TA who helps her out at Harvard, Joe McDonald as a mean professor, Sharon Russell as her new friend, a hair stylist named Paulette, and Kim Behrens Kaufman as a client accused of murder. Legally Blonde runs through November 22, with weeknight performances at 7:30 pm and Sunday matinees at 2:30 pm. Also coming up this month at the Art Theater in Champaign: Suffragette, the new movie starring Meryl Streep, Carey Mulligan and Helena Bonham Carter as women fighting for the right to vote in Britain in the early 20th century, and two hugely influential pieces of American cinema in Francis Ford Coppola's The Godfather and The Godfather, Part II. 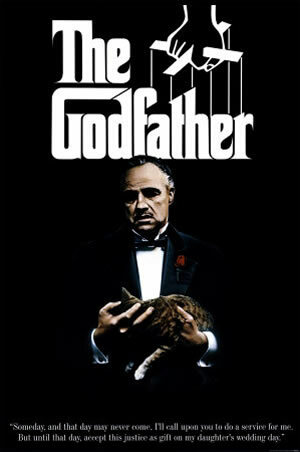 Follow the links under the titles of the movies to see times and dates. In general, Suffragette is playing from November 7 to 12, The Godfather has showings between November 6 and 12, and The Godfather Part II runs between November 13 and 19. ISU's annual Fall Dance Concert takes the stage at the Center for the Performing Arts November 18 to 21, under the direction of Sara Semonis. Keep an eye on the ISU CPA Facebook page or check in with the box office at 309-438-2535 for more information. 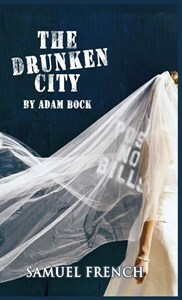 Illinois Central College Theatre presents Adam Bock's The Drunken City beginning with a 7:30 pm performance on November 13. Bock has a sharp, highly theatrical voice that matches up perfectly with this cynical, funny look at three brides-to-be embarking on "the bar crawl to end all crawls." You can see ICC's calendar of November events here and click through for tickets and more information. 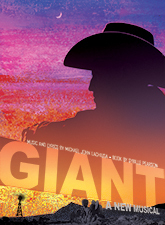 You'll find a very different kind of musical at Illinois Wesleyan University when the School of Theatre Arts presents Giant, a musical version of Edna Ferber's novel spanning several generations of Texans trying to make their mark. This is quite a coup for IWU and director Scott Susong, since the show has only been seen in development and in an Off-Broadway production at the Public Theatre in 2012. Michael John LaChiusa (Hello Again, The Wild Party) created the music and lyrics, while Sybille Pearson (Baby, Sally and Marsha) wrote the book. IWU's Giant plays for six performances from November 17 to 22, and ticket information is available here or by calling the box office at 309-556-3232. 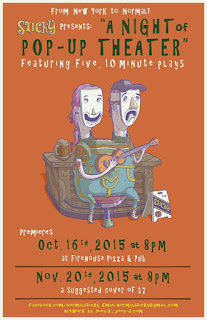 Sticky in the Sticks, the pop-up theatre that does its popping once a month at the Firehouse Pizza and Pub in Normal, will be back November 20th with another program of 10-minute plays. Sticky features local talent, led by founders Connie Blick and J. Michael Grey, putting on short plays which happen to be set in a bar and are therefore performed in a bar. 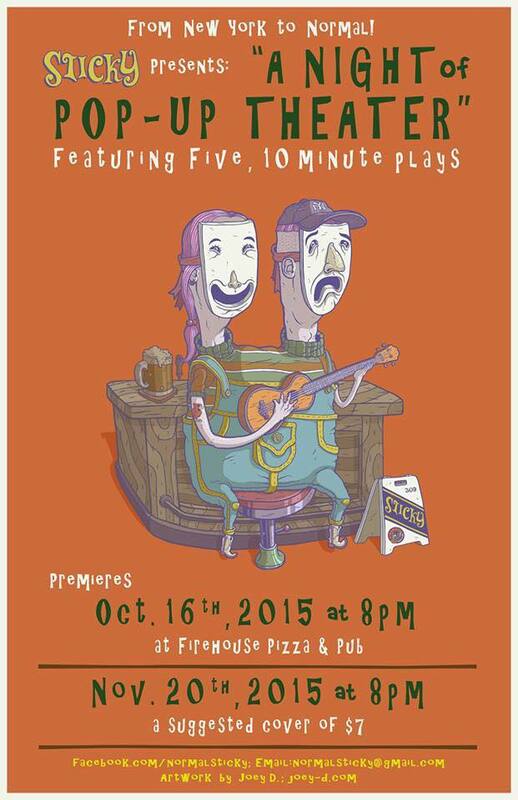 Local playwrights like John Poling, John Kirk and J. Michael Grey himself have seen their work bellied up to the bar at the Firehouse. Doors open at 7:30 pm, the musical guest usually starts at 8, and the shows go on about 8:30 pm. It's first come, first seated, so you are warned to get there early to get the best view. Bottoms up, lights down! At the end of the month, note that Community Players will hold auditions for The Crucible, Arthur Miller's searing indictment of the Salem witch trials, on November 23 and 24, and Heartland Theatre will hold auditions for Clybourne Park, Bruce Norris's Pulitzer Prize winner, on November 30 and December 1. Players has a list of roles they're looking to fill here, while director Rhys Lovell should be posting what he needs for Clybourne Park here sometime before the 30th. November is also National Novel Writing Month (NaNoWriMo) if you'd like to participate in this "write the novel you always said you wanted to" project. And all month long, Heartland Theatre is accepting submissions in its two New Play initiatives -- 10-minute plays set in an Art Gallery and one-acts on the theme "A Key" -- with all the details on what they're looking for and how to enter here for 10-minute plays and here for one acts. Feel free to use NaNoWriMo to write a play instead of a novel if you're more inclined that way. That ought to keep you busy in November!